Will your class escape in time? Oh no! The ringmaster has lost all of his circus performers and animals. The show will be ruined if none of the acts are at the big top in time! Students must help the ringmaster locate all the people and animals for his show. 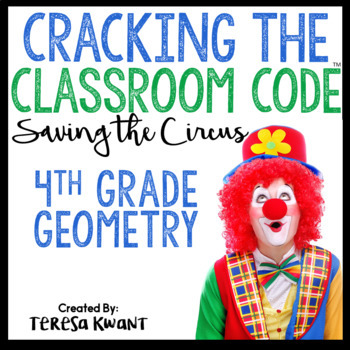 By solving a string of math problems students will locate clues, until they have saved the circus. This is a review game for the concepts taught in 4th grade, under the domain of Geometry. If your class has never played an escape game or breakout game before, I suggest playing as a whole class for the first time. My students loved this and were very engaged. This was great for my Carnival Room Transformation! This was a great product and my students enjoyed it. The only reason that I give it a Bt for clarity is because it took me a little while to figure out. But, if you are used to doing this type of activity with your students, you will have a much easier time catching on to it than I did. Thank you for this creative and fun product! My students love escape rooms! I’m excited to use your resource next year! My students had the best time with this!! They kept beginning me to do another one!! Thank you!! Just discovered these! I’m excited to use this one in my classroom! My kids love this! Engaged the entire time! My students loved playing this! Another fantastic resource! Thanks for making learning fun! My kids loved this. Thanks! I can’t wait for my kids to do this activity! I know they will be so engaged and enjoy the competition along with solving the clues! You made this as easy as could be! Thanks! Can’t wait to use this resource during our Circus transformation next week! Does take some prep work, but definitely worth every bit. My kids loved this! Fantastic way to hold everyone accountable! These products are always engaging. Worth the time! My class loved the other similar projects so they can’t wait to do this one. Absolutely amazing review and so engaging and interactive! My kids LOVE when they get to do these! It is their favorite day!!!! Very excited to use this for some remediation/review! Love this!! Totally worth the preparation!! One of my favorite activities!! Students love it. This is a nice high quality product. Engaging and fun. My students love this! My class LOVES these! Thanks for sharing! Super creative, can’t wait to use this with my kids!!! My 4th graders loved this. Thank you! My students love these activities! Cant wait to use this. It looks awesome. Teacher tested and approved! Thank you! I purchased this last night and the bundle was posted today. I love it, so I had to have the bundle! 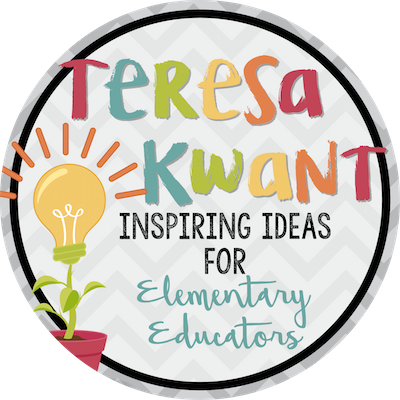 This is a great resource; engaging, educational, and fun!